Pumping out up to 261 horsepower and a massive 281 lb-ft of torque, the available V6 engine featured in the new 2018 Frontier lineup at Nissan South in Morrow, Georgia can help owners get just about any job done. These innovative pickups even offer an available Flexible Fuel Vehicle (FFV) feature that allows owners to choose between ethanol E85, standard gasoline or any mixture of the two fuels. When negotiating difficult Georgia terrain and a wheel of your 2018 Nissan Frontier begins to slip, the Active Brake Limited Slip (ABLS) system automatically brakes the slipping wheel (or wheels) while sending additional power to the wheels with the best traction. When the going gets tough, your new 2018 Frontier is there with the tools needed to get you back on track. The full-length, fully boxed ladder frame of the new 2018 Nissan Frontier was built to provide solid performance, both on- and off-road. Comprised of materials that are both durable and stylish, such as super-high-tensile-strength steel and a new front grille, it’s easy for Frontier to stand out on any Morrow, Georgia street. Rear privacy glass gives these new pickup models at Nissan South an added touch of attitude while also helping to keep the inside comfortably cool, while a tailgate-mounted rear spoiler helps to reduce vehicle drag. It all amounts to a rugged truck exterior that’s ready for whatever the day happens to have in store for you. Nissan’s first-in-class available Utili-track cargo-carrying system has channels conveniently placed on the bed floor of the 2018 Frontier, as well as in the walls and header. For Nissan Frontier owners in Morrow that are looking for even more versatility, they can position the four beefy aluminum-alloy cleats anywhere along the Utili-track Channel System, strap in their cargo, and put even the most awkward loads on lockdown. Frontier’s cargo bed light helps you keep an eye on the job at hand while, for added security, the tailgate features a cleverly placed lock that makes these new 2018 trucks a well-protected piece of ingenuity. When you’ve got stuff that needs to get done in Morrow, your new 2018 Nissan Frontier will always be up to the task. But practicality and an incredibly smart interior truck design doesn’t have to come at the expense of comfort. New 2018 Frontier Crew Cab models at Nissan South offer spacious seating for five, while the doors on the King Cab models open wide, making it easy for all occupants to get into and out of the cabin. Maximize your cargo-carrying quotient with one of the new 2018 Frontier models available at Nissan South in Morrow, Georgia. Crew Cab models feature a convenient 60/40 split flip-up rear bench seat, as well as a flat loading floor, which provides owners with plenty of room when they’re not carrying people. And continuing with the convenience trend, owners can flip up either or both rear seat cushions of their new 2018 Nissan Frontier for added storage space. The under-seat storage tray of Frontier is also removable, offering Morrow, Georgia owners with even greater truck flexibility. 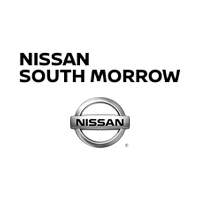 Nissan South in Morrow assists customers from Atlanta, Morrow, Riverdale, Jonesboro, Lake City, Forest Park, and all of the surrounding communities, helping them find the new 2018 Frontier that suits them perfectly. We take pride in the professional level of customer service that our dealership known for, and we do our best to make sure that each person that walks through our doors leaves satisfied. When you’re ready to purchase your new 2018 Nissan Frontier, come by 6889 Jonesboro Rd. in Morrow, Georgia and let one of our friendly salespeople go over all of the purchasing options currently available to you.